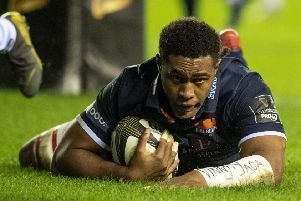 Edinburgh have received a massive boost with the news that their talismanic forward Viliame Mata has signed a new contract. Mata, 27, has put pen to paper on a one-year extension. The Fijian international was already contracted until the end of next season but has now committed to deal that will see him remain at the club until at least 2021. 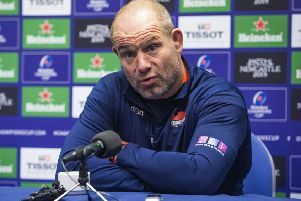 Edinburgh coach Richard Cockerill said: “Vili is one of the most exciting talents in the world right now, so I’m delighted that he feels that his future is here in Edinburgh. Mata added: “I’ve had a great time in Edinburgh over the last two seasons. We’ve settled in well and my family loves it here. We’re excited and blessed to be staying in this city for another two seasons. “The club is definitely growing and I’m so excited to see how we can keep improving. I’m still getting used to the weather here as it’s so different to back home, but I’ve got another two seasons to keep adapting! Mata won a gold medal at the 2016 Rio de Janeiro Olympics, scoring a try in Fiji’s 43-7 victory over Great Britain in the final of the rugby sevens. He joined Edinburgh in summer 2016 and has scored 11 tries in 55 games for the club, reaching the half-century of appearances in last month’s victory over Southern Kings at BT Murrayfield.